The PSR-2200 is a microprocessor-based remote control for use with the BC Biomedical PS-2200 Patient Simulator Series. There are also models for use with DataSim 300 and Fluke MPS-450 Patient Simulators. 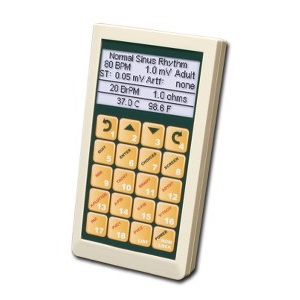 The remote allows the user to configure the patient simulator and provides pre-programmed configurations as well as programmable key functions and key sequences.